There was a phrase shared with me years ago that I love to use, “The fortune’s in the follow up.” This line is so simple, yet powerful. How many times have you called a business for information or a quote and not received a call back? How do you get into a business where you am so busy that you can afford to not call prospects back? My home is relatively new; less than three years old. The guest bathroom tub/shower backs up to two external walls. As the temperature changes outdoors, the walls expand or contract causing the tension shower rod to break. It only happens a few times a year, but is a major pain in the rear. I hate maintenance. That’s why I have led lightbulbs in all of my light fixtures and lamps. I am ok with waiting twenty years to replace a bulb. Anyway, a few weeks ago I decided I wanted to trade in the twice a year shower rod collapse with a glass shower enclosure or some type of glass door for the tub/shower. I called two well reviewed companies to come out and give me estimates. While at my house, I also had them give me a quote to upgrade the shower glass on my master bathroom. Both estimators were knowledgeable, friendly and professional. They both educated me to my options sharing the pros and cons of each. They both sent me an email proposal quickly. But neither will be getting my business, because neither managed to follow up. I don’t know about you, but if someone was about to stroke a three to four-thousand-dollar check would you call them back? At minimum would you email them back to see if there were any follow up questions or ask if they were ready to move forward. What has happened since I received these shower glass proposals? Crickets. Not a single follow up call or email. Keep in mind one of the companies sent out the owner to get me a quote. The owner should fire himself. Getting the phone to ring with a qualified prospect in any business, especially catering is expensive. Imagine every lead costs a hundred bucks. Are you rich enough to light your cigars with hundred dollar bills? If so, please invite me over to smoke some Cubans. Really people. The fortune is in the follow up. When I owned my restaurant, I was a follow up machine. I would call and email until I received a yes or no. If the event was large enough, I would offer to send someone out and do a tasting for the catering decision makers. If one of my team members sent a proposal and didn’t follow up, their head would be on a chopping block. 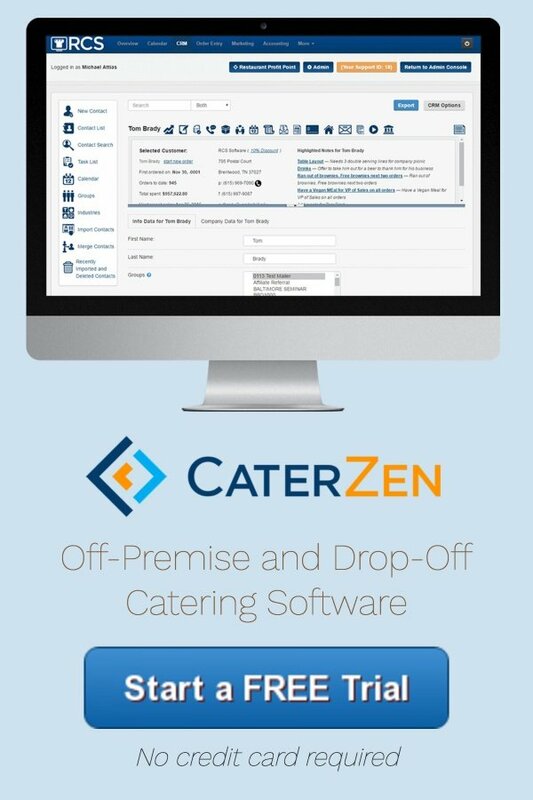 Not only have we built in the ability to create quick catering quotes into our catering software, but as soon as the proposal is created a pop-up appears prompting you to set a calendar reminder to follow up with the prospect. We try to make sure our client’s success is built into our system. As we speak, we are in the process of upgrading our quotes module. Right now our software allows you to create a single proposal template without pictures or text formatting. Our developers are creating an interface that looks/acts like Microsoft Word and allows you to create an unlimited number of catering proposals with the ability to insert pictures, different fonts, font sizes, colors, tables, etc. Once you are done entering in all of the items for an event and ready to send the proposal, our system asks which template you want to send. You even have the option of modifying that proposal before sending. If you are sending a wedding catering proposal, your pictures can be of weddings you’ve catered. All of your testimonials can come from brides and your frequently asked questions can address those specific to wedding catering. If you do a lot of company picnics, you can create a specific company picnic catering proposal template geared to that buyer. On one level catering is catering, but when someone is booking their event, they believe their needs are unique. By positioning yourself as an expert in the different catering niches you serve, you stand out from your competitors. This new catering quote module will be a game changer. You will have an unfair advantage over your competitors…but only if you realize the fortune’s in the follow up. 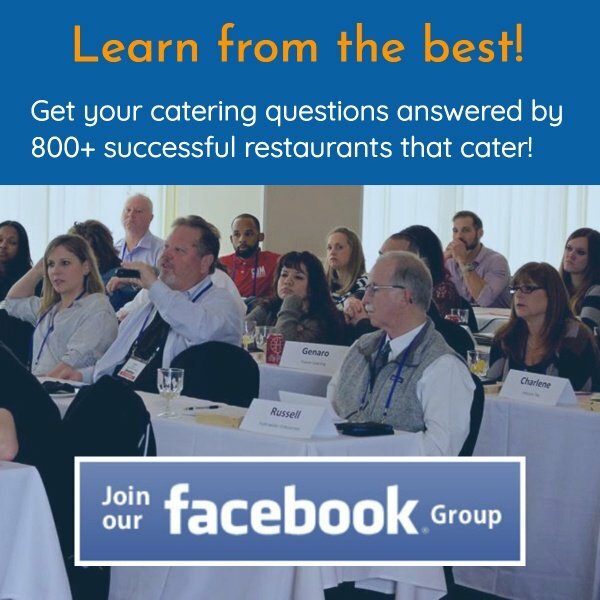 Following up on every catering opportunity is one of the highest ROI activities you can do. Look. You have a big bass on the hook. Are you too lazy to reel him in? Even if you don’t get the event, follow up. I’ve lost major events, but have called year after year for a chance to get it. Guess what? In many instances that dogged persistence has paid off. Stop buying lottery tickets, because your fortune is waiting for you with follow up!